Every fall, something special comes to the Samford University campus. Alumni, young or old, from near or far, return to campus. They greet old friends and professors and walk the halls of the buildings like they were here just yesterday. They pull out their Samford red and blue and support their football team. 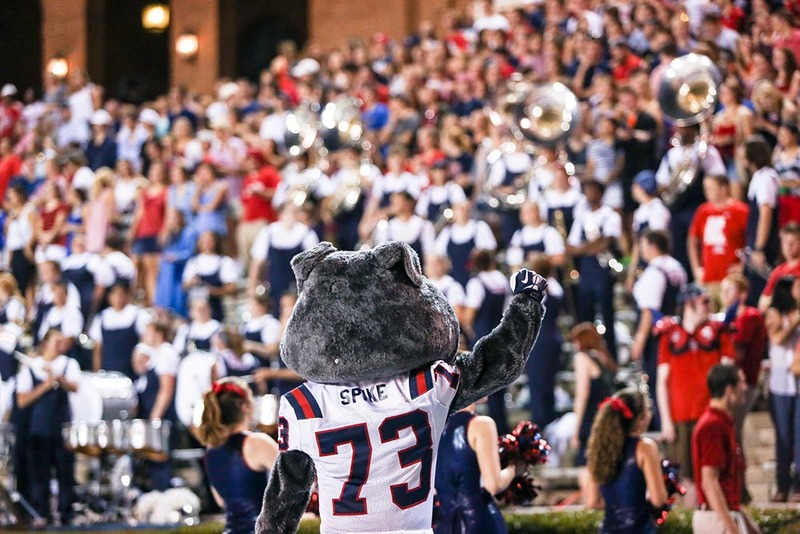 This is Homecoming, Samford style. Throughout the weekend, Nov. 10-12, many events and activities will be taking place all across campus. On Friday, Nov. 10, several departments will have open houses throughout the morning and early afternoon. Other events include the alumni candlelight dinner, the Samford family homecoming dinner, and the new alumni awards program, The Beesons. The Candlelight Dinner will be at 6 p.m. in Seibert Gym. It is a sit-down dinner that encourages alumni to connect with each other and reflects the first-ever Samford homecoming in 1866 when alumni welcomed former President Samuel Sterling Sherman back to the campus in Marion. There will be a short program with the opportunity to hear from an alumnus about being involved. It costs $25 to attend. At the same time, the Samford Family Dinner will be held in the University Center. The food court will be open, and this event is targeted to families with children. Ramey said she is hoping the cheerleaders will be there, taking pictures and making crafts with the children. Immediately following these dinners will be the awards, fittingly called The Beesons. This event will take place in Seibert Gym at 8 p.m., where alumni will be recognized for honors of Alumnus of the Year, Outstanding Young Alumnus of the Year and Humanitarian of the Year. On Saturday, Nov. 11, alumni can attend tailgating on the quad from 11a.m. -1:30 p.m., followed by the Samford vs. East Tennessee State University Southern Conference football game. Also taking place on Saturday will be other department open houses.